The New Adventures of Beany and Cecil is an American animated children's television series produced by DiC Animation City and Spümcø that originally aired on ABC from September 10th to October 8th, 1988. 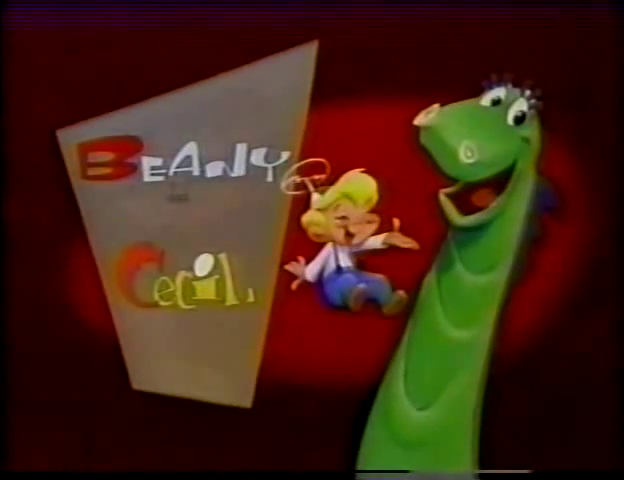 Produced and directed by John Kricfalusi (later known as the creator of Nickelodeon's The Ren & Stimpy Show), the series was a revival of Bob Clampett's Beany and Cecil animated series from the 1960's, focusing on young boy Beany (voiced by Mark Hildreth), his uncle Captain Huffenpuff (voiced by Jim MacGeorge), and their friend Cecil the Seasick Sea Serpent (voiced by Billy West), as they sail the seas and have adventures around the world, while also attempting to thwart the many dastardly plans of villain Dishonest John (voiced by Maurice LaMarche). The series encountered various troubles throughout its production, with animation being rushed due to long negotiations and tensions rising between Kricfalusi and ABC executives over the tone of the show's content. Due to these struggles, the series was eventually cancelled after five episodes on the air, leaving three unaired. Because of the show's extremely short run and the lack of a home media release, it has become rather obscure. Three of the show's eight produced episodes are currently missing. IMDb page for the show.